Song Fa Bak Kut Teh has almost become a institution to visit for tourists in Singapore. Walk into any of the New Bridge Road branches (they are just located few doors away), and you see people, people, people. 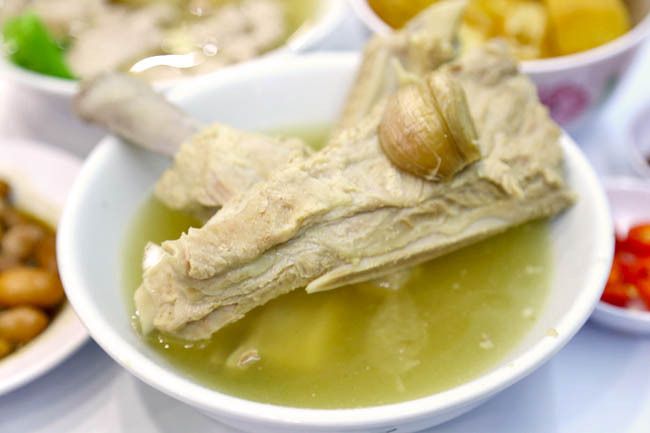 Tourists from China, Japan, Hong Kong, Taiwan, Korea… all come armed with tour guides to try our local delicacy Pork Rib Soup. They swear by the good taste. 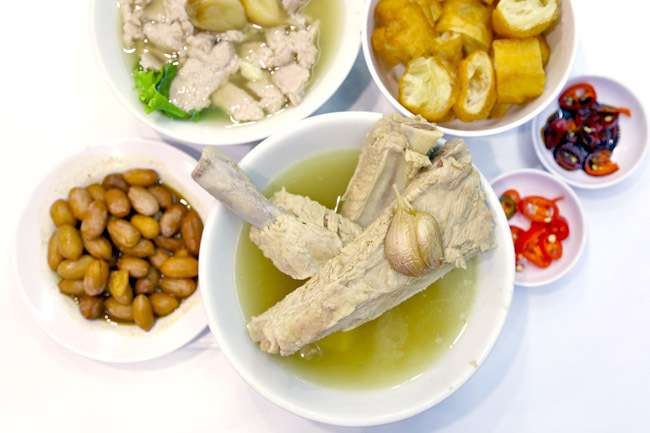 Funny that when we talk about “Best Bak Kut Teh” in Singapore, the usual suspects pop up… Ng Ah Sio, Outrum Ya Hua, Founder, Leong Kee, Hong Ji Bak Kut Teh but somewhat less of Song Fa. 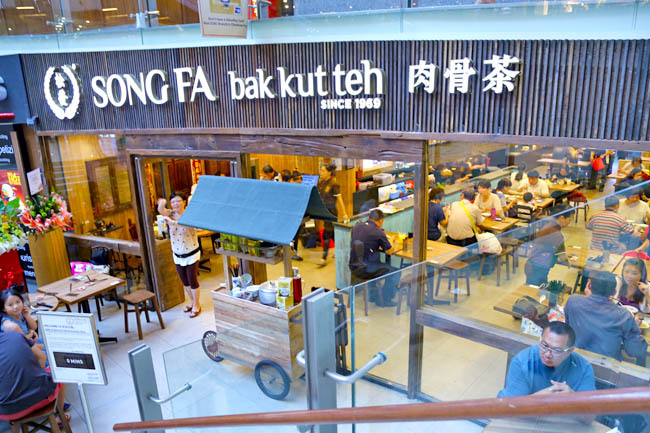 A bit of Song Fa Song Fa Bak Kut Teh’s history, founded in Singapore in 1969 by a Mr Yeo Eng Seng who learned his skills as a stall assistant. 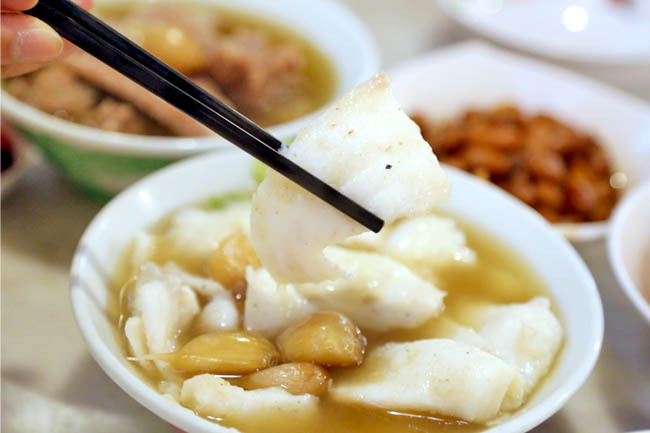 He subsequently opened a shop at Victoria Street selling a clear peppery Teochew take of this dish and complementary side dishes, and found popularity. His son eventually took over, modified the recipe by having more tender pork ribs. 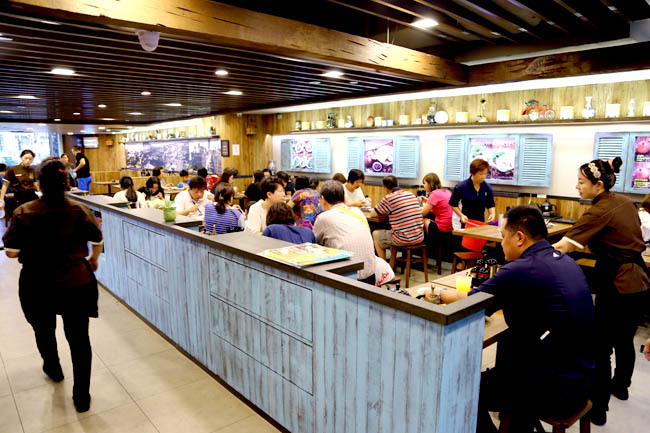 This branch at Chinatown Point continues to pack the crowd, selling a variety of items from Pork Ribs Soup ($7.00), Pig’s Kidney Soup ($6.50), Pig’s Stomach Soup ($6.00) and Sliced Fish Soup ($6.50). Side dishes include Braised Pig’s Intestine ($6.50), Peanuts ($3.50) and Braised Chicken Feet with Beancurd Skin ($4.00). I asked what the difference was between the Premium Loin ($9.50) and normal Pork Ribs Soup. The answer, “Geng ruan loh (more tender)”. Had it, but thought the pork could be less tough though, as I imagined it could found off the bones easily. Unfortunately, Singapore’s supply of pork is not as fresh as it used to be back my growing up days. But I still liked the clear peppery and garlicky aromatic soup, when hot and piping, gave a high as you sipped the broth down. 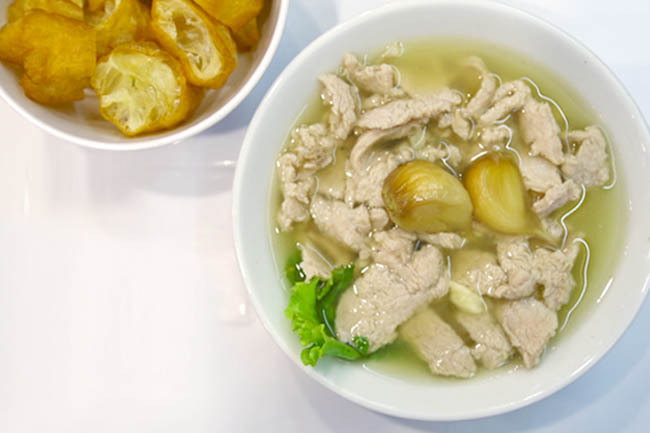 Though it seemed unconventional, I would sometimes order the Sliced Pork ($6.00) or Sliced Fish Soup ($6.50), which would make a comforting, easy to eat without messy fingers meal. Despite being more commercialized, Song Fa still manages to keep its prices relatively affordable, and service staff was prompt in filling up my soups. Jia tang, jia tang. Hi , I would like to make reservations for 45 pax on August 16, 2015 at 6:30pm. Can someone please give me a call or reply me . Thank you.